Telephone or personal consultations and advice, concerning any personal legal matter. Benefits under this section are limited to up to one an hour per matter of legal consultation and advice concerning the matter. Additional consultation or advice on the same subject matter at a preferred member discount rate. All correspondence including letters and phone calls to third parties, concerning any personal legal matter, at a preferred member discount rate. All contracts or documents reviewed or prepared at a preferred member discount rate. One (1) simple will including enduring power of attorney. Estate planning and support services available at a preferred member discount rate. Settlement fees on the sale or purchase of all land or property at a preferred member discount rate off the Settlement Agents Scale of Fees for this service. Includes review of contracts, preparation of all settlement documentation and representation at settlement. Have interpreted, reviewed and prepared by the Legal Service Provider any personal mortgages, bills of sale, charges or other personal security documents in which you as the covered member is a contracting party at a preferred member discount rate. Receive telephone or personal consultation and advice concerning any legal matter relating to loan recovery, mortgagee sales, foreclosures and enforcement of securities, including bills of sale, charges and other debt securities of which, you the member is contracted as the borrower or provider of security at a preferred member discount rate. Defence for civil or criminal charges/drivers licence assistance (extraordinary and special) including consultation, preparation and actual court time at a preferred member discount rate. The member may have telephone or personal consultation, during normal business hours, concerning any Family Law or De-facto relationship matter. Cover also includes review, consultation, letters to third parties and representation on any Family Law or De-Facto Relationship Law matters at a preferred member discount rate. Have reviewed by the Legal Service Provider any Workplace Agreements or Contracts of Employment in which you as the member is a contracting party. Including assistance with any claim for unfair dismissal, unpaid contractual entitlements, harassment or discrimination and workers compensation issues including advice, preparation and representation at a preferred member discount rate. The covered member may have reviewed and investigated by the Legal Service provider any cause of action against a medical/dental/health professional or a hospital for a negligent medical/dental/health procedure where the covered member is an aggrieved party at a preferred member discount rate. Membership provides for the defence or pursuit of a civil or criminal matter as Plantiff or Defendent. 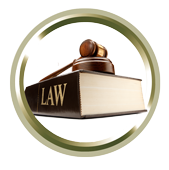 Membership includes any court proceedings and legal services prior to trial, at a preferred member discount rate. When notified in writing by the ATO of an audit of income tax return or when ordered to appear at the offices of the ATO. Membership includes all consultation, advice, negotiation and representation as required at a preferred member discount rate. If you are detained or arrested by a member of the police service in your state or territory, you have a twenty four (24) hour legal emergency telephone access to a PPL duty officer or solicitor for assistance or legal advice and representation if necessary. Other legal services not specifically provided for by this plan are provided for at a 20% discount off the Legal Service Provider's standard hourly rate for representation or service. This includes matters either pre-existing by their nature or currently on foot and being dealt with or requiring legal action as a result of a prior occurrence or arrangement. The information contained in this material is for illustrative purposes only and is not a contract. It is intended to provide a general overview of the coverage. Only the plan contract can provide full terms, coverage, amounts, conditions and exclusions, with all benefits provided governed in accordance with the terms and conditions of the selected legal service plan contract taken out. A Preferred Member Discount rate means 25% off the Legal Service Provider’s standard hourly rate for the given legal service.